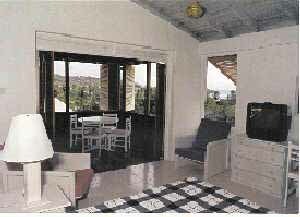 Bay View Apartments is situated at tranquil Friendship bay on the South Eastern side of the Grenadine Island of Bequia. The Apartments are a "stone's throw" away from the beautiful white sand beach which is perfect for swimming, sailing and windsurfing. The emerald water is also excellent for snorkelling and scuba diving. 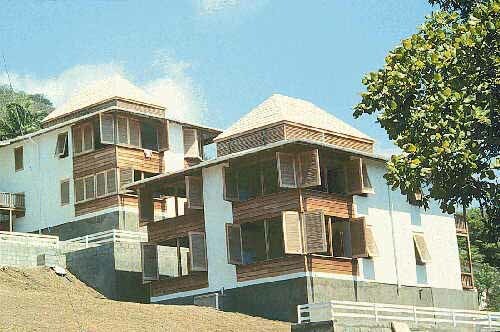 There are eight newly built self contained apartments in two separate two story buildings. These spacious apartments (500 sq. ft.) with inter-connecting doors allow for large party accommodation. The design of the complex ensures a flow of cool island breezes, soothing atmosphere, secure surroundings, and splendid views. To the East is the view of the Bay and to the West the undulating hills. This Island retreat affords total relaxation. The island offers a variety of related activities to compliment your relaxation. Fly to Puerto Rico, Barbados, St. Lucia, Grenada or Martinique. Then fly directly to Bequia, or stop over in St. Vincent and take one of the ferries to Bequia.